Chester Township artist Bascha Mon will show her works at the Port Washington (N.Y.) Library from May 2-31. CHESTER TWP. – “WATER–2 Degrees of Separation” by township artist, Bascha Mon, will be on display from May 2-31 in the Main Gallery at the Port Washington Library, One Library Drive, Port Washington, N.Y.
Mon will attend a reception hosted by the Art Advisory Council in the Main Gallery from 2 to 4 p.m.,Sunday, May 3. 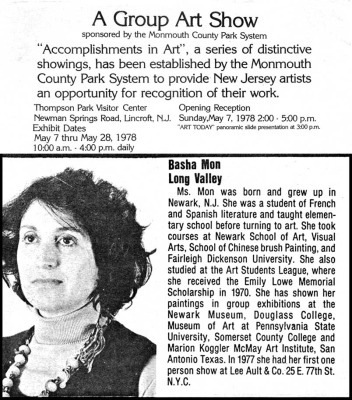 Mon has been creating and exhibiting art since 1971. She has had grants in painting, drawing and sculpture. She has received a grant from the New York Foundation for the Arts Relief Fund and was invited to a residency at the Woodstock Byrdcliffe Guild in Woodstock, N.Y., said a statement. Mon studied at the Art Students League, the School of Visual Arts, Pratt and the China Institute and teaches privately and at the Hunterdon Art Museum in Clinton. Mon said that as a child, she spent summers at her grandparents’ farm adjacent to a lake and that later summers were spent on the Jersey shore. “I learned to row and attended summer camp at lakes. The Caribbean and Cuba introduced me to new colors and beauty. Vacations in the Cape and Maine expanded my views of water and its capacity to reflect the light. The amazing changes associated with weather increased my respect for its potential to give pleasure and fear,” she said. Mon said the 2004 Indonesian tsunami strongly informed her new work, leading to an extensive series: “TSUNAMI: LOSS.” Many works from the series are included in the latest show. 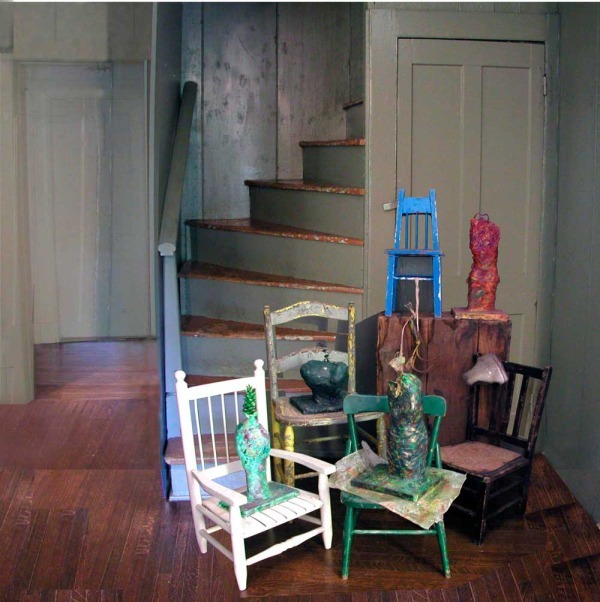 In 2011, the intensity of water had a personal effect when Mon’s studio was destroyed by Hurricane Irene. Contemplative pieces like “Adrift” combine with amusing works like “Beneath the Surface” with its lavender octopus. “I hope that this wide-ranging group of works will appeal to a community itself so close to the water,” Mon said.